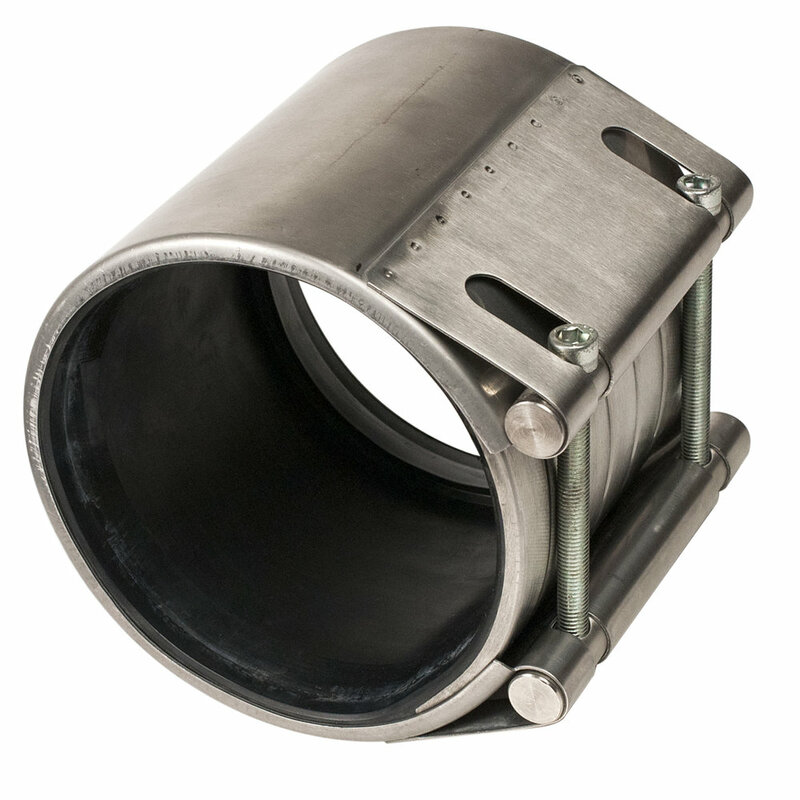 Lightweight ductile iron coupling. Meets AWWA C219. USE Flexibly couple pipes of the same or different diameters. COMPATIBILITY Steel, copper and PVC pipe. WORKING PRESSURE Up to 200 psi. For higher pressure ratings, consult your representative. CASTINGS 1/2" through 2 1/2" Sizes: Center rings are manufactured from steel meeting ASTM A-120. The end rings are cast from ductile (nodular) iron meeting or exceeding ASTM A 536, Grade 65-45-12. 3" through 12" Sizes: The end rings and center rings are cast from ductile (nodular) iron meeting or exceeding ASTM A 536, Grade 65-45-12. BOLTS AND NUTS 1/2" through 8" Sizes: Galvanized mild steel, National Coarse rolled thread and heavy hex nuts. 10" and 12" Sizes: High strength low alloy steel trackhead bolts. National Coarse rolled thread and heavy hex nuts. Steel meets AWWA C111 composition specifications. INSTALLATION CONDITIONS The coupling installation may be backfilled and buried. The coupling may be encased in concrete. Follow installation instructions prior to backfill or encasement.